A couple tiny deer fawns, still a little wobbly, as they learns to walk and frolic in the grass. The mother watched and grazed near by. 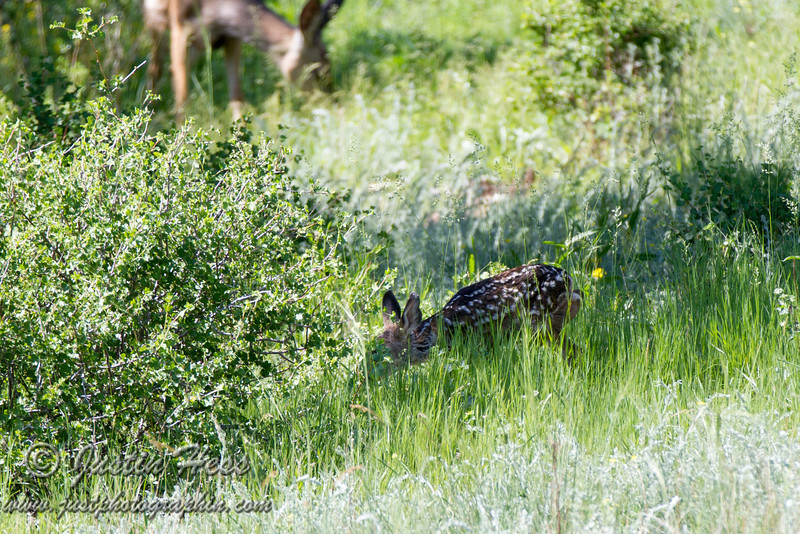 The deer fawn crawling under a currant bush, likely for the rest of the day.